The Marketing team responsible for promoting JORVIK Viking Centre and its’ sister attractions were amongst the winners at the Chartered Institute of Marketing (CIM)’s prestigious Marketing Excellence Awards on Thursday 12th April. They were crowned In-House Marketing Team of the Year (SME), as judged by an esteemed panel of experts, including Peter Markey, marketing director of TSB and Jonathan Horrell, director of global sustainability at Mondelēz International. This win follows the team’s success at the regional Northern CIM Awards where they picked up both In-House Team of the Year and Marketing Campaign of the Year in November 2017. Held at London’s Grosvenor House Hotel and hosted by CIM, the world’s leading professional marketing body, with a 28,000-strong global membership, the ceremony highlighted the new face of marketing, with digital innovation and multichannel customer experience at the forefront of this year’s winning campaigns. 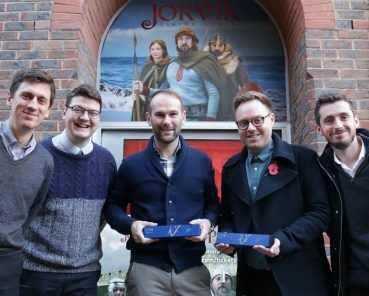 As well as picking up the trophy for the Team of the Year the five-strong line-up were also awarded a Highly Commended for their ‘Return of the Vikings’ campaign, which relaunched the re-imagined JORVIK Viking Centre. Commented Sarah Maltby, Director of Attractions of York Archaeological Trust, the parent charity and operators of The JORVIK Group of Attractions. 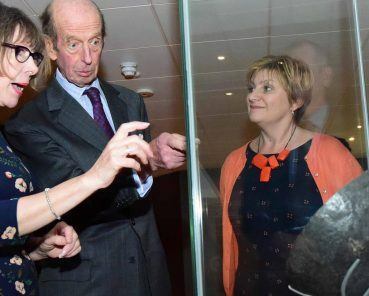 Indeed, in its first 12 months since reopening JORVIK has welcomed over 420,000 visitors to the re-imagined experience, which is a 30% increase on the numbers before the York attractions was flooded in December 2015. 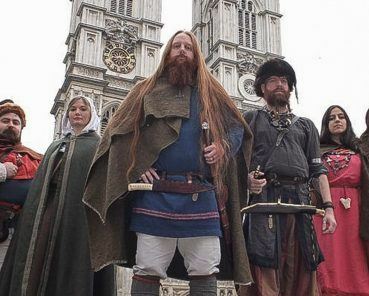 Added to this, new research has shown that the Viking attraction directly generates at least £18 million to York’s economy proving that the Vikings are intrinsic part of tourism in the city. Chris Daly, chief executive of CIM, said: “Professional marketing is a vital driver of business advantage – boosting commercial outcomes and growing talent. At a time when the return on investment and data protection rigour of marketers are under scrutiny, our winners demonstrate the value of creative marketing. Image Caption: L-R David Scott (Head of Marketing), Nathan Waddell (Marketing Assistant), Chris Padget (Marketing Assistant), Peter Livesey (Dept Marketing Manager) and Paul Whiting (Marketing Manager) are joined by the Vikings of JORVIK to celebrate their triumph at the National CIM Marketing Excellence Awards. The JORVIK Group is owned and operated by York Archaeological Trust, a registered Charity in England & Wales (No. 509060) and Scotland (SCO42846). The Chartered Institute of Marketing (CIM) is the world’s leading marketing body. CIM’s mission is to create marketing advantage for the benefit of professionals, business and society with a focus on export, data and skills. It believes marketing is the critical factor in driving long term organisational performance. Find out more about CIM by visiting www.cim.co.uk.